Below you can view all the homes for sale in the Kirkwood subdivision located in Atlanta Georgia. Listings in Kirkwood are updated daily from data we receive from the Atlanta multiple listing service. To learn more about any of these homes or to receive custom notifications when a new property is listed for sale in Kirkwood, give us a call at 404-998-4097. Youll Never Get In Your Car Again! Brilliant! MLS#6540448. Keller Knapp, Inc..
New Hvac, Lighting, Paint, Hardwoods, Appliances, Paint, Roof, Etc. . . . . MLS#8567485. Virtual Properties Realty.Com. 4Th Bedroom Potential. Explore The Neighborhood! MLS#6539083. Keller Williams Realty Metro Atl. Easy Walk To Kirkwood Village, Poor Hendrix, Le Petit Marche, Oakhurst Village, Parks, Upcoming Pullman Yards And More! MLS#6539214. Compass. New Hvac, Lighting, Paint, Hardwoods, Appliances, Paint, Roof, Etc. . . . . MLS#6539668. Virtual Properties Realty.Com. Walk The Wooded Paths And Community Garden In The Five Acre Forest Reserve Abutting Your Backyard. MLS#6537166. Keller Williams Realty Metro Atl. Walk To School, Restaurants, Shopping, Ymca, Parks, And Kirkwood Events. MLS#6537208. Keller Knapp, Inc.. 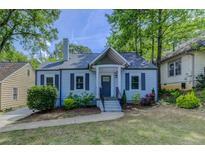 Walk To Bessie Branham Park, Downtown Kirkwood, Marta & More. MLS#6536127. Weichert, Realtors - The Collective. Close Proximity To Downtown Kirkwood, Cohn Park, And The New Pullman Yard Development. MLS#6535789. Adams Realtors. Home Is Under Construction And Will Be Ready In Fall Of 2019! MLS#6535550. Weekley Homes Realty. Shared Driveway W/Power Gate + Seperate. 2-Car Garage- Prime For Studio/Flex Space! MLS#6536114. Keller Williams Realty Intown Atl. This Home Has It All And Is Move-In Ready! MLS#6535963. Harry Norman Realtors. Priced To Sell, Motivated Seller Bring All Offers! MLS#6535363. First United Realty Of Atlanta, Llc..
Steps Away From The Path, Up & Coming Pullman Yard Development And All Things Kirkwood Has To Offer! MLS#6534650. Keller Williams Rlty, First Atlanta. With So Much Development Going On In The Neighborhood This Hands Down Is A Great Investment! MLS#6534987. Keller Williams Atlanta Classic. Convenient To Oakhurst And Decatur Square, Kirkwood Village & More! MLS#6534669. Compass. Walk To Pullman Yard, Coan Park, Downtown Kirkwood, & More. Brilliant! MLS#6534463. Keller Knapp, Inc.. 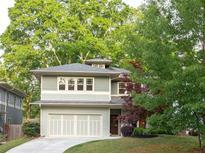 Walking Distance To Schools And Restaurants In Kirkwood As Well As In Oakhurst. Shown By Appointment Only. MLS#6534242. Keller Knapp, Inc..
For Showing Call For An Appointment. . MLS#6534531. Virtual Properties Realty.Net, Llc..
You Don'T Want To Miss This 5 Bedroom, 4 Full Bath Home On A Fully Finished Basement Complete With All Of The Bells And Whistles. Wonderful Backyard, Perfect For Entertaining. MLS#6532190. Berkshire Hathaway Homeservices Georgia Properties. Moments To Downtown Decatur And Eastlake, Oakhurst, Kirkwood Shopping And Entertainment. MLS#6531889. Main Street Realty Association, Llc..
Open Concept Living Room And Office Space Makes For A Great Home. MLS#6531675. Palmerhouse Properties. 15 Min To Hartsfield-Jackson Int Airport. MLS#6530847. Bo Bridgeport Brokers, Inc..